to promote the improvement of observational systems in the European-Mediterranean region through a critical examination of the seismological coverage, and to suggest methods for improving the quality of observations and their transmission to the EMSC. EMSC Assembly which consists of all EMSC members. EMSC Coordination Bureau comprising the EMSC President, first Vice-President and Secretary General. It defines and coordinates the tasks of EMSC key nodal members. EMSC Executive Council composed of the EMSC President, Vice-Presidents, Secretary General, three elected members. It prepares the Assembly and make recommendations. EMSC-ORFEUS Scientific Advisory Board : this group of five independent experts provides guidelines regarding the future activities of the EMSC and ORFEUS. 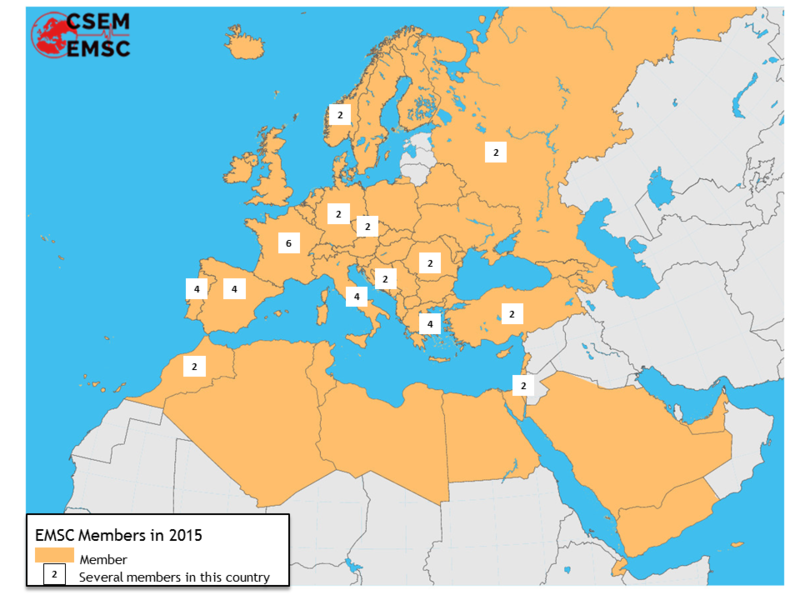 ORFEUS-EMSC coordinating committee : this committee reviews and proposes joined actions to be taken by both organisations in order to promote the scientific activity in their specific fields. It consists of representatives from ORFEUS, from EMSC and of an independent chairman. The whole weight of EMSC scientific activities has been shifted towards several key nodal members, whose work is coordinated through the EMSC Coordination Bureau. The key nodal members are committed to the full execution of their specific task to which they devote the necessary manpower and financial means. They report to the Coordination Bureau, that has the duty to inform and disseminate the results to other EMSC members as well as to European and international institutions.